I have a 2004 gto ls1 engine swap into my 240sx. I have the racecapture pro mk3 with the obd2can but the signal keeps cutting on and off so i decided to wire the sensors directly. 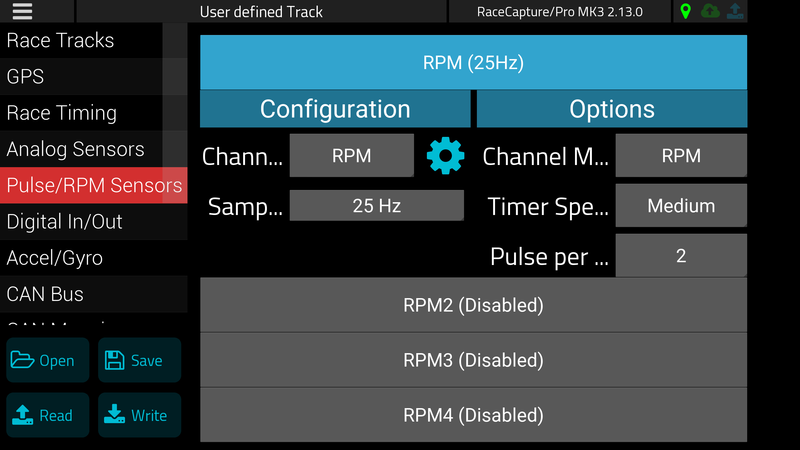 I cant seem to get the signal to get picked up by my racecapture pro mk3. The only info i could find is that the ls2 ecm use a low voltage square wave and people had to use a 1k ohm pull up resistor to bring the voltage up to 10v so their cluster can read the signal. But mine is an Ls1 so im not sure if this is the same for me. The tach wire output signal i wired directly into my 240sx tach cluster and the cluster works fine and I am not sure if i can do this to get a signal to be read by the racecapture. If anybody can help I also found this info in the GTO FSM. The PCM creates the engine speed output signal by pulsing the circuit to ground at a predetermined hertz rate. the PCM pulses the circuit at the same rate as the engine speed signal inoput. 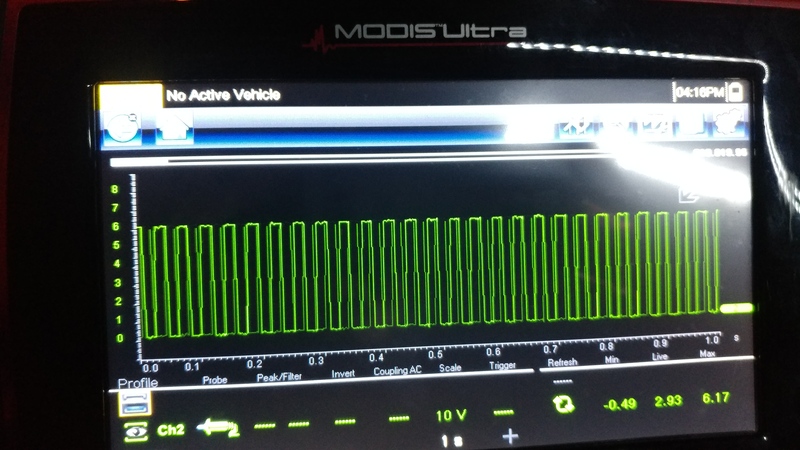 The PCM monitors the voltage on the engine speed output circuit. THe PCM creates the engine speed output signal by rapidly grounding this circuit via an internal switch called a driver. Alos, I tried the step up voltage and it did not work. Checking the waveform is especially helpful. If you connect an oscilloscope to the timer input of RaceCapture while it's connected to your ECU, do you see a clean square wave going into the pin of Timer input 1 (or whichever channel you're using)? i just found out the snapon scanner has the oscilloscope feature. im going to try to connect it to the wire this weekend and see what i get. Sorry but have been really busy. I finally managed to do it and this is what i have. Thanks. Definitely does not look like a clean square wave from the trace. What kind of readings do you get when hooked up to the first RPM input? Any noisy readings, or just 0? You mentioned earlier that the ECU signal pulses to ground, perhaps try a 50-100k pullup resistor to the 5v reference on RaceCapture, to ensure the signal is pulled up in-between pulses? Glad we got it working!